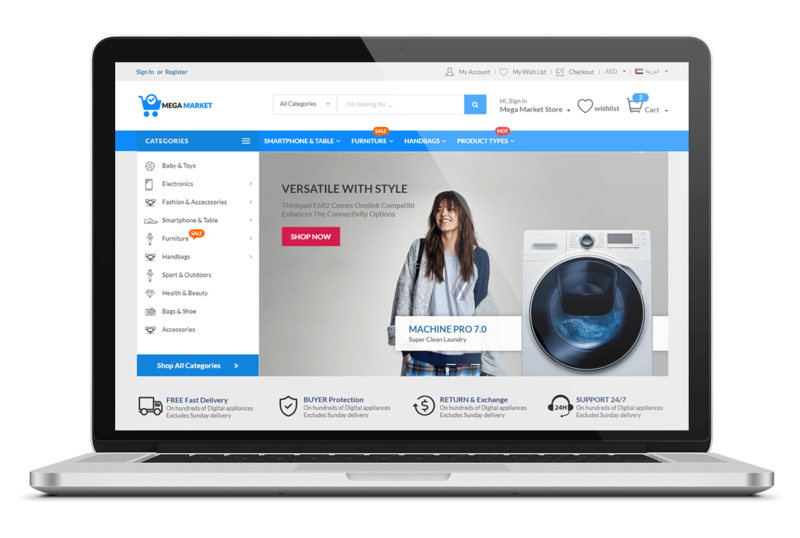 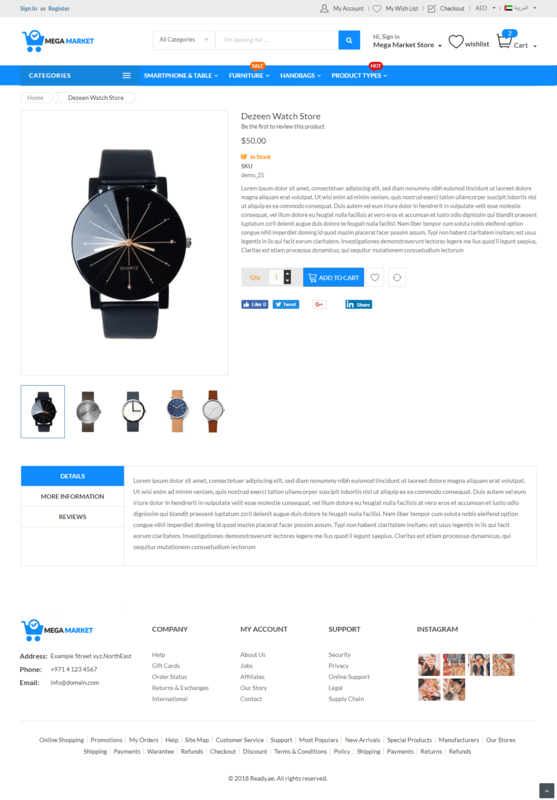 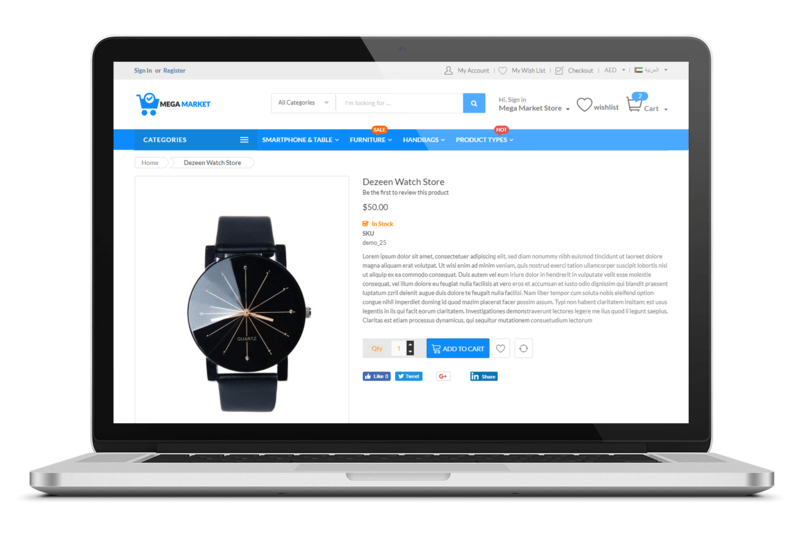 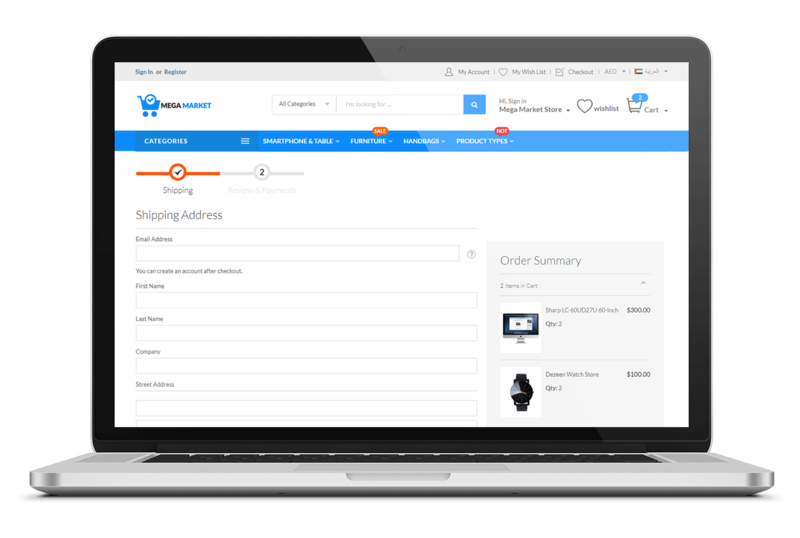 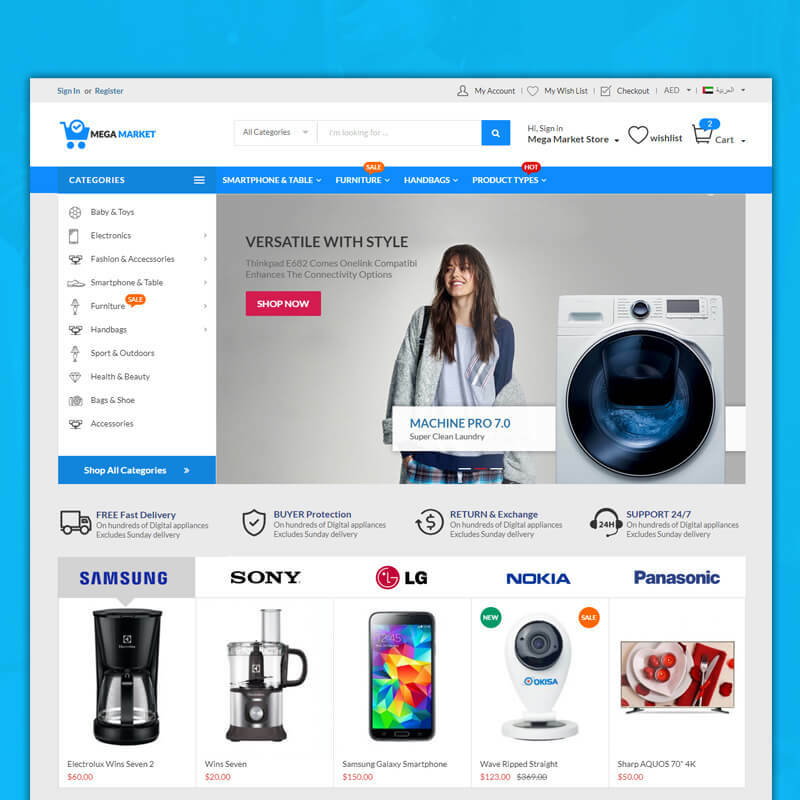 Mega Market is stunning theme with sharp layout with blue and white colors is a perfect choice of any ecommerce website, especially online stores that are selling multiple types of items likes retail items, electronics, fashion, jewelry or other house hold appliances. 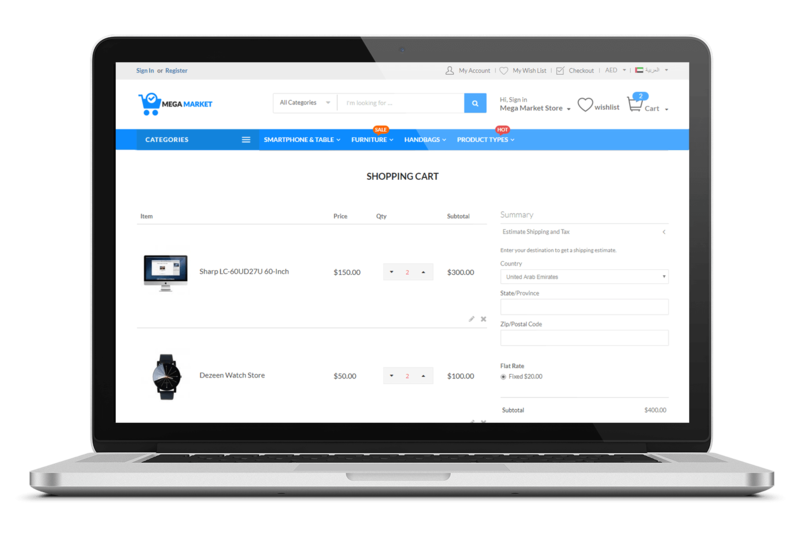 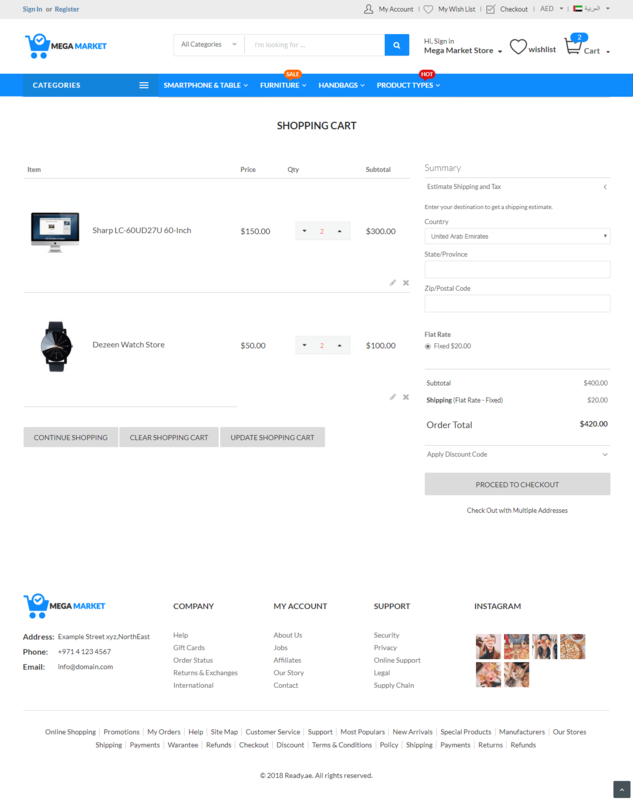 This modern looking theme will result in fast website that offers users greater accessibility to different product range with easy checkout. 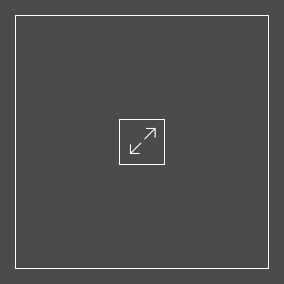 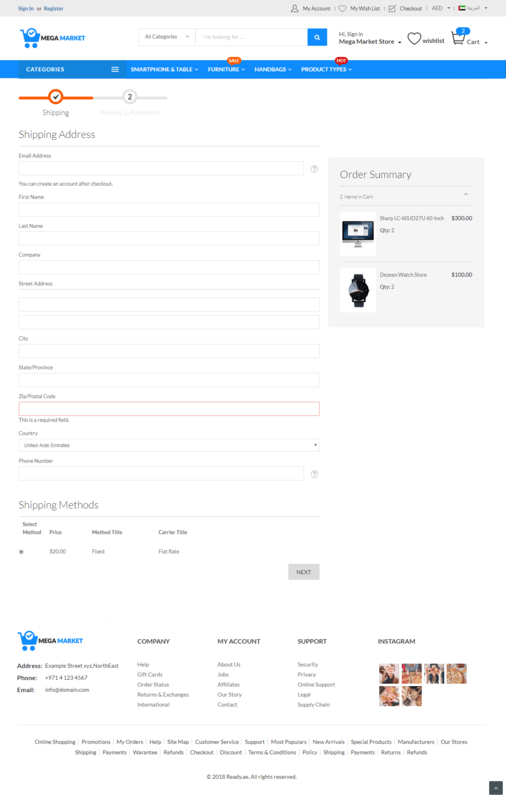 It supports bundle product that will allow your customers to buy bundled items added together.